Do you believe you have been scammed by a Villa Group timeshare agent or organized scam group? The information below is for everyone who thinks they may have been scammed by a Villa Group timeshare. We have provided valuable advice about the Villa Group timeshare membership contract and other potential scams. Have You Been Scammed by a Villa Group Timeshare? Are you thinking you have been involved in a scam by a Villa Group representative? 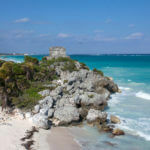 Are you or have you purchased a timeshare at one of the resorts in Cancun, Riviera Nayarit, the Islands of Loreto, Cabo San Lucas, or Puerto Vallarta? 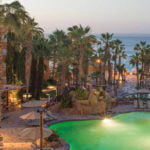 If you have or are considering a timeshare purchase, then you should remember that if you purchase a timeshare membership through the resort itself, then you won’t be at any risk of being scammed, but if you have purchased a timeshare membership anywhere else, then you may be involved in a timeshare scam. Have you purchased a Villa Group timeshare membership resale? If you have, then this is very tricky. Continue to read the information below. It is very unlikely that you have been scammed by the Villa Group if you have purchased your timeshare membership directly at one of the sales rooms at one of its resorts, but if you have purchased a Villa Group timeshare membership anywhere else, then chances are very likely that you have been scammed. 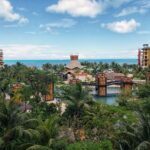 If this has occurred to you, then you should immediately contact one of the sales representatives at the location that you purchased your timeshare membership. The Villa Group is a genuine timeshare company in Mexico and is the number one leader in the timeshare industry in Mexico. Any timeshare purchases that are transacted directly with Villa Group resorts are legally binding and are all in accordance with the American Resort Development Association ARDA. ARDA is the association that represents the timeshare industry and monitors its actions. Knowing this information, if you still think you are facing a Villa Group timeshare scam, then read on. If you still think you have been involved in a Villa Group timeshare scam that is most probably because you have been a victim to a Villa Group timeshare resale that is fraudulent and you are looking for assistance. Maybe, you have purchased the Villa Group timeshare resale online from the classified website, your local newspaper, or Facebook. If you have, then you might just want to minimize your loss and don’t look back. If you have been directly involved in with a Villa Group timeshare resale scam, then you can contact your District Attorney and try to take legal action, but the chances of you retrieving your money is very unlikely. One way to definitely avoid any scam is to never purchase a timeshare resale. 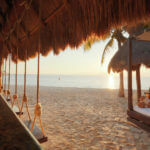 Share the post "Been Scammed by Villa Group Timeshare?"